A great add on for any backyard or Carnival event. 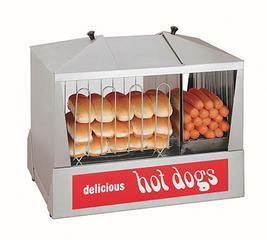 This unit will hold the buns and dogs warm until you need them. It does not cook the dogs.